Roland’s quest to build the ultimate electronic piano started soon after the company was founded in 1972. Back then, much of the technology didn’t exist so they had to invent it. Early highlights included developing Japan’s first all-electronic combo piano, the world’s first touch-sensitive keyboard, and even co-developing the MIDI language that allows all electronic musical instruments to talk to each other. All the while, they have refined the sound and touch to satisfy the stage and practice needs of world-class pianists. 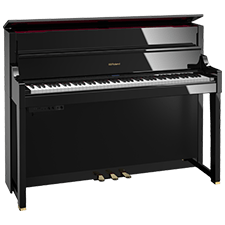 Roland also strives to design pianos that look as good as they sound; from classically-styled grand and upright pianos, to contemporary pianos with a stylish flat-top cabinet or a cutting-edge metallic body. Even though there is no end to mastering the art of piano making, we’re excited to see what lies ahead. The GP609 is a grand piano without compromise. You can experience the performance of a traditional acoustic grand, whose sound has been at the heart of music for over 300 years. And you also get to explore the endless creative possibilities offered by the latest digital technology. Since creating the world’s first touch-sensitive electronic piano in 1974, Roland has become a leader in digital piano innovation – and the new GP609 embodies our belief that advanced technology and know-how can take your music further. If you need convincing that technology and tradition can coexist, take a seat at the Roland GP609 Digital Grand. 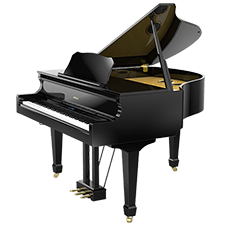 This luxurious instrument offers every type of player a sublime grand piano experience, fusing advanced technology and authentic playing feel with classic grand piano cabinet design. Be inspired by an instrument that combines the latest sound engine with a brand-new keyboard mechanism, enhanced multi-channel speaker system and a variety of digital advantages – along with stunning sounds that will spark great performances for years to come. 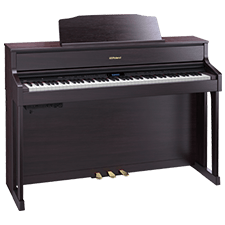 If you’ve longed to own a grand piano but were discouraged by the cost or weight, then the Roland GP607 could be the perfect addition to your home. A stylish digital mini grand piano in polished ebony or white, the GP607 pays homage to the classic grand piano form with an imposing-yet-graceful design. And although its appearance is traditional, explore a little deeper and you’ll discover the very latest technology. Bluetooth® connectivity lets you wirelessly stream songs from your tablet/phone through the GP607’s powerful 4.1 multi-channel speakers, filling your room with rich, clear sound. 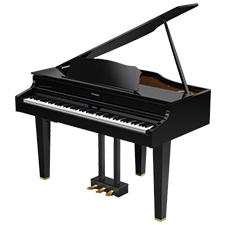 SuperNATURAL Piano Modeling technology offers supremely realistic piano sound and, along with the expressive touch of the new PHA-50 keyboard, provides a playing experience that will satisfy the connoisseur. And a host of onboard learning features—including connection to piano education apps—will ensure that you’ll stay motivated and your piano skills will constantly improve. 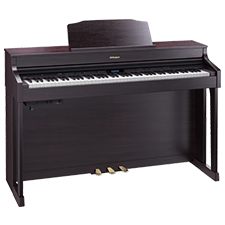 Whether you want a strikingly beautiful addition to your living space or a sophisticated mini grand piano that supports your family as they learn to play, the GP607 brings beauty, elegance, and evocative piano performance into your home. Since 1972, Roland has worked to create the ultimate piano experience, and our new LX pianos are among the most exciting yet. We wanted to build a luxurious upright piano for the connoisseur, with the rich sound and graceful appearance of an acoustic, along with a multitude of advantages only possible with a digital piano. 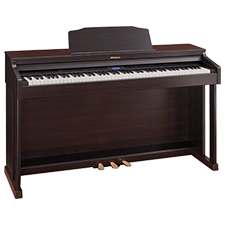 The LX-17 is powered by the latest version of our acclaimed SuperNATURAL Piano Modeling technology, along with a unique keyboard that blends wood and molded materials for great feel and durability. The LX-17 connects via Bluetooth® technology to your smartphone or tablet so you can hear your music-making apps or online piano lessons through the piano’s powerful eight-speaker sound system. 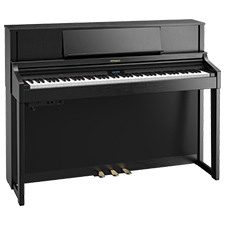 And even though it’s compact, the classically-styled LX-17 is our tallest upright piano and it’ll definitely make a big impact in your home especially with a choice of finishes including polished ebony and polished white. The HP piano philosophy is all about bringing the sound and performance of a concert-class piano into your home, with a choice of cabinet styles, colors, and speaker systems to suit your lifestyle. The premium HP series is powered by the latest version of our acclaimed SuperNATURAL Piano Modeling technology, along with a unique keyboard that blends wood and molded materials for great feel and durability. The HP series connects via Bluetooth® technology to your smartphone or tablet so you can hear your music-making apps or online piano lessons through the powerful six-speaker sound system (HP-605 and LX models) – your kids will love it too as it makes learning piano fun. And even though it’s compact, the classically-styled HP series will definitely make a big impact in your home especially with a choice of finishes including polished ebony, contemporary rosewood, and contemporary black or white. Robert Falcon studied music and music education at Texas University – San Marcos (formerly Southwest Texas State University). His principal instrument is trumpet. He has also played and studied classical guitar over 30 years. In the fall of 1982, Robert joined The Willis Music Company, primarily in instrument sales. He has also maintained his own teaching studio for the last 15 years. On Sundays morning, you can find him singing tenor or playing guitar with his church choir. Robert has completed extensive training at Steinway University in New York. His goal is to help others fulfill their dreams through and in music. Jessica Thomas is a Piano Sales Adviser at Willis Music Kenwood Galleria and a professional flutist. She holds a Masters in Music degree from Wright State University (’17) and a Bachelors in Music degree from Michigan State University (’15). As a performer, she has attended the Vianden International Chamber Music Festival in Luxembourg and the Pierre Monteux Festival in Hancock, Maine. She has also performed in musicals such as The Sound of Music, Rodgers and Hammerstein’s Cinderella, Shrek: The Musical, The Mikado, and The Pirates of Penzance (among others). Prior to working at Willis Music, Jessica was an Artist-in-Residence at Flute Specialists, Inc. in the Metro Detroit area. Scotty studied Music Education at Northern Kentucky University and Music Performance (Percussion) at Miami University. His musical journey started at age 11 with piano lessons, sparking his interest in all things percussion. He spent over ten years as a music educator and freelance percussionist before joining the Willis Music team. 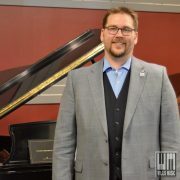 As an educator, his experience spans from middle school to the collegiate level and has taken him with performing groups to the Macy’s Thanksgiving Day Parade, Carnegie Hall, the 2013 Presidential Inauguration, and both the London and Paris New Year’s Day Parades among many other memorable journeys. Rick holds a BA degree in Marketing Management. Rick’s life long musical pursues started at a young age with piano lessons, than woodwind instruments and guitar. Rick joined the Willis Management team in 1991 and managed the Tri-County and Florence locations. 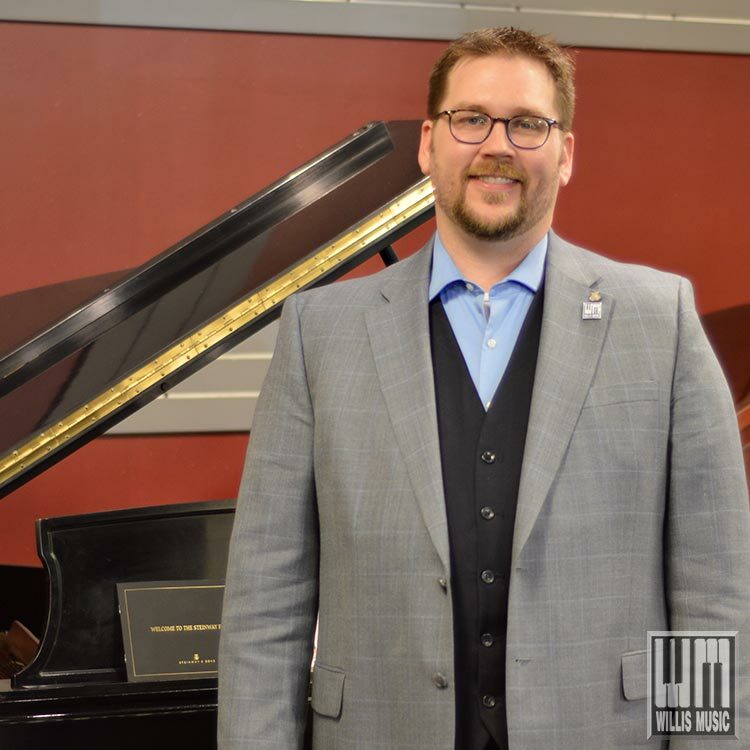 In his current role as the Director of Steinway Concert and Artist pianos he helps pianists who come to play at the musical venues in the Cincinnati area. 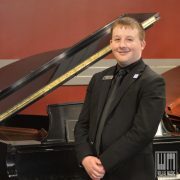 Rick has extensive training at the Steinway University in New York. Dustin studied music education at Morehead State University. He has studied the piano for 25+ years. 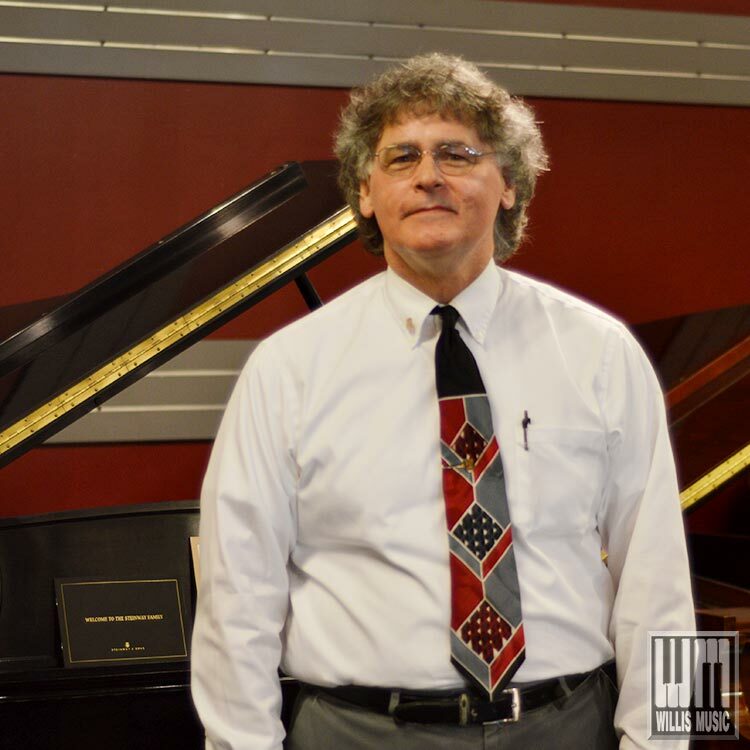 His experience with the instrument includes teaching, musical theater, weddings, funerals, parties, selling & serving as a church pianist for nearly two decades. In his opinion, music is a language meant to be shared with everyone. It is extremely important to mold & encourage younger generations to have a passion for the musical arts. Let our staff help spread the joy! Matthew studied music education and vocal performance at the University of Kentucky. He has played the piano for over 29 years and today teaches and performs locally with many groups including the Cantabile Vocal Ensemble. To him the piano isn’t just an instrument, it is the start of a journey which enhances everyday life. With over 15 years experience Matthew has worked with many different types of customers and institutions helping them generate ideas with a vision to meet their present and future needs.